They Disappeared. Rick Mofina has made a career out of fast-paced thrillers — page-turners that have you picturing the action flick as you read the novel. 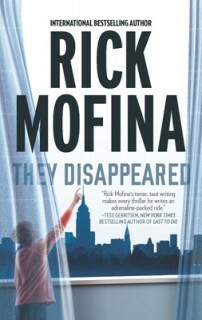 Set in New York City, They Disappeared picks up on the increasing sophistication of the international terrorist groups targeting the United States to get maximum publicity for their causes. Montana car mechanic Jeff Griffin travels to New York with his wife and son for a dream vacation. How could any of them have imagined that a luggage mix-up at the airport would ensnare them in an international bomb plot? In bookstores now. The Devil’s Dust. 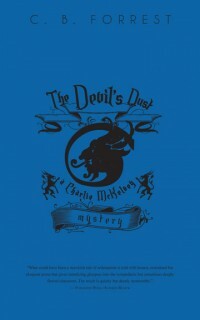 Though the third in a trilogy based on the exploits of Toronto detective Charlie McKelvey, The Devil’s Dust reads just as well as a stand-alone. Recently retired, the troubled detective flees the big city and retreats to his hometown, only to discover a crystal meth crisis in full swing. It couldn’t have come at a worse time: the mayor is trying to attract investment, the police chief is trying to close a deal to truck Detroit’s garbage to a local site as well as vie for the mayor’s job, and a sleazy businessman is working on plans for a casino. When the overwhelmed local police force enlists McKelvey’s help, he discovers much more than he bargained for. In bookstores now. A Killer Read. For 15 years, she ran Prime Crime Mystery Bookstore in the Glebe until calling it quits in 2010. Now Linda Wiken has more time to craft her own mysteries. 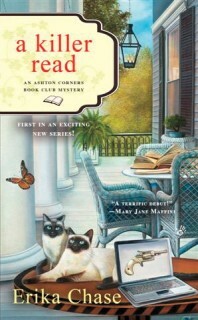 Written under the pen name Erika Chase, A Killer Read is the first novel in the Ashton Book Club Mysteries series set in genteel small-town Alabama. When a mysterious stranger is found dead outside her friend’s home, Lizzie Turner and her fellow book club members turn their talents to sleuthing. Light and fun — think of it as Nancy Drew for grown-ups. In bookstores now.